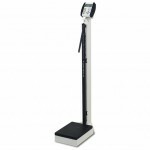 These American-made eye-level Detecto digital physician scales with large stable 10.5 x 14.5 inch (27 x 37 cm) platforms are the right choice for home, health, and clinical office weighing. 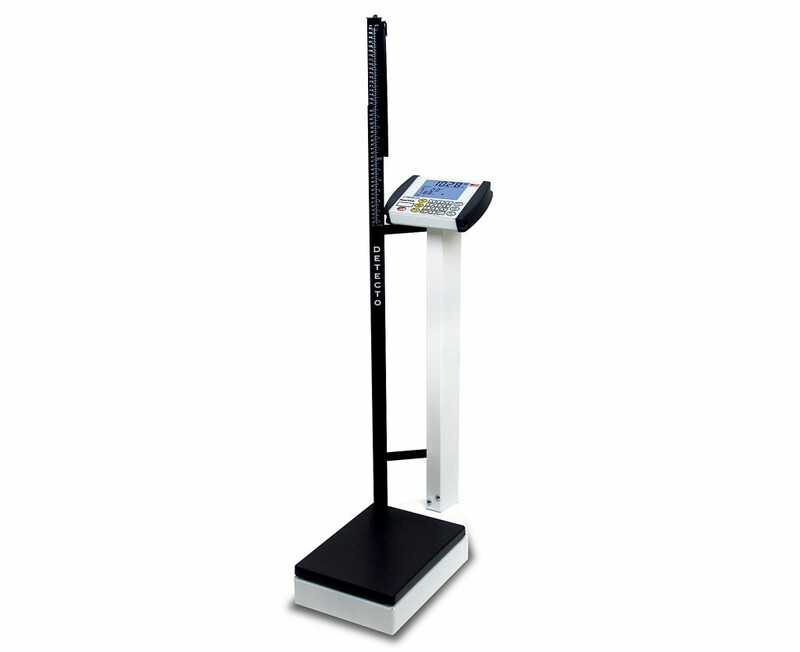 The all-USA-manufactured scales are designed for years of dependable and accurate weighing, plus they are versatile enough to meet all clinical health requirements. A large 0.75 inch (19 mm) high LCD display with Body Mass Index calculation powered by 6 AA batteries or optional AC adapter (neither included). 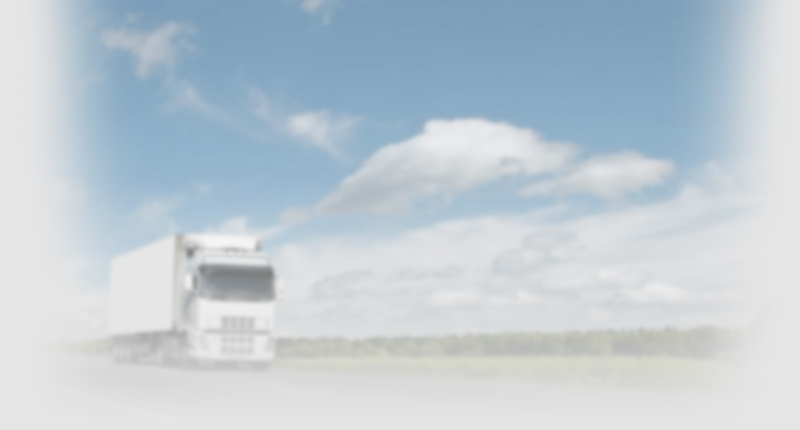 Height rod available. 500 lb x 0.2 lb / 225 kg x 0.1 kg capacity.